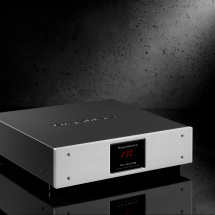 GIGAWATT PC-3 EVO+ is a technologically advanced, new generation power conditioner, designed to power and protect audio-video systems of Hi-End class. This conditioner not only effectively protects against interference and overvoltage existing in the home power grid, but also guarantees a significant improvement of the quality of sound and displayed picture of the devices connected to it. All internal elements of the conditioner were enclosed in a rigid, steel-aluminum chassis, supported on anti-vibration feet made from solid, anodized aluminum, with a layer of proprietary elastomer 3.5mm thick. The front panel of the conditioner is made from a thick slab of aviation grade aluminum. Its surface is brushed, after precision milling, and then anodized black or silver. 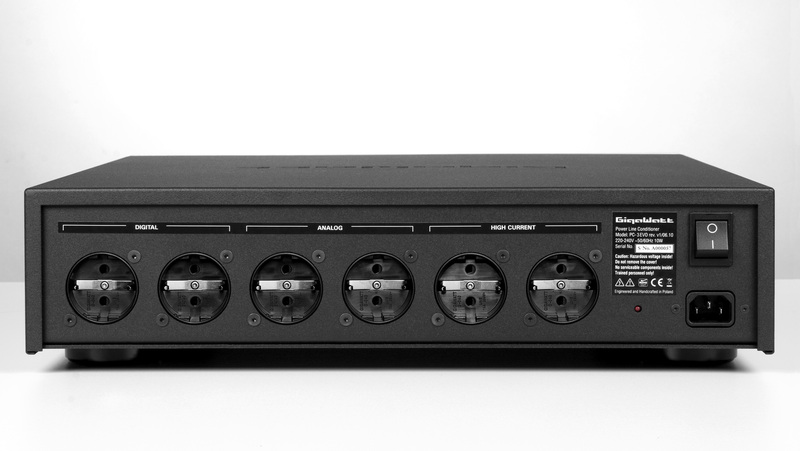 The PC-3 EVO+ has six, high quality proprietary GigaWatt power sockets, with large surface contacts. The brass contacts of the sockets were subdued to the process of technical silver plating without usage of intermediate metals, like copper or nickel, which could introduce an unfavorable serial resistance and a voltage loss. The increased surface of the contacts and the thick layer of silver guarantee good contact with the plug pins. The sockets were additionally cryogenically modified and de-magnetized. The conditioner PC-3 EVO+ is equipped with multistage parallel filters. Three, independent filtering branches, which supply three sections, composed of two output sockets each. Due to this solution the kind of filtering was adjusted for the load it has, different for each type of devices – digital, analog or high current devices. Autonomous passive filters allow for isolation from interference produced by the devices connected together via a shared power line. The PC-3 EVO+ is based on a novel filtering architecture and uses new components. The main novelty are the anti-interference capacitors and the compensation batteries for the buffering circuits, which are manufactured by the company Miflex, according to GigaWatt specification. 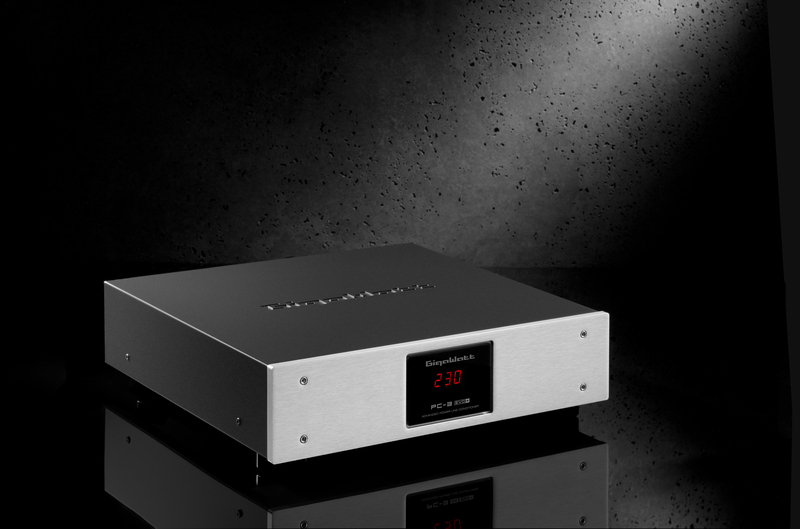 In the PC-3 EVO+ an innovative, two-stage current distribution system is used, a proprietary design of our company. It is based on massive third generation distribution rails, made from polished slabs of oxygen-free copper OFHCC 10100 with 99.995% purity. The first stage allows for lossless and even distribution of voltage to each of the filtering branches. The second stage provides current directly to each pair of output sockets via bolted and clamped connections as well as cabling with conductors with 4 QMM cross-section made from oxygen-free copper isolated with FEP Teflon. The star connection topology and high conductance combined with the 30 QMM cross-section of each of the rails allow for an uniform and stable power distribution regardless of the load on the individual outputs of the conditioner. Due to the improved efficiency of the filtering circuits, they were mounted using silver solder on massive PCBs having eight times the amount of copper compared to standard PCBs. The dual layer PCBs have very wide traces made from silver plated copper, with a thickness of 280 micrometers. The interference is damped by filtering blocs of RLC type, built around proprietary Audio Grade capacitors and Super-MSS (Sendust) core filters. In the conditioner there are no traditional protective elements, like thermal or blow fuses, which throttled the free flow of the current have a negative influence on the sound. The surge protection of the conditioner is provided by the starting block, which utilizes plasma spark-gaps, UltraMOV new generation varistors and an initial filter. All those elements working together with a well-made, contemporary power grid, guarantee a complex protection against surges and overcurrent. To allow for the maximum impulse response, the PC-3 EVO+ is equipped with a double buffer circuit with Audio Grade compensation batteries, a proprietary design. The circuit increases the current output with non-linear loads, like power amplifiers, as well as eliminates the difference of power between the input and output of the conditioner. This allows for almost unlimited impulse capabilities, unheard of in other passive conditioners and not reachable for active conditioners. The impulse capabilities of the PC-3 EVO+ surpass even the values of clean power line without any devices connected to it. Rolling-Ball Isolation System feet – The PC-2 EVO+ can be equipped with a new kind of feet with a mechanism called Rolling-Ball Isolation System. This is an anti-vibration system comprised of two parts (external and internal) made from solid aluminum, with two runs with balls between them. The setup is to minimize the points of contact between the feet, and then the chassis of the conditioner and the rack, what in consequence translates into a significant reduction of mechanical vibration, which negatively impacts the internal elements of the conditioner, what in turn degrades its sound. Another isolation element, on which the whole construction is placed, is a proprietary elastomer, 5mm thick. White LED Voltmeter display. Besides three basic display colors a white version is available at extra cost. Voltmeter display off switch. It allows to switch of the display completely. „As I had occasion to say to the Italian importer, it is unlikely that a number of components that are placed between the wall outlet and the audio devices do not impose their voice. In the case of the PC3 Evo you hear clearly a change in the sound; but it is immediatly obvious that the system becomes more quiet, so that a slight audible hum from the horns of the Davis Monitor 1, staying just ahead of the cabinet, has disappeared thanks to the PC3 Evo. Once I returned to my system for more attentive listening I noted all the sorts of things one associates with a good power line conditioner and it didn’t matter whether I played WAV files vinyl or the silver stuff. The goodness was more or less the same regardless of source. Most obvious was an overall reduction in low-level line noise that allowed for greater insight into recordings. Music playback became bigger, more immediate and also clearer, more intelligible and focused without any negative effect on drive and momentum. Textures were more realistic. Dynamics improved too. There seemed greater range between soft and loud. Drums and percussive instruments had more bite and snap and greater sense of liveliness. The PC-3 EVO also removed a mild electronic edge that was particularly noticeable on voices and strings. It’s one of those seemingly minor things you either don’t notice or learn to tune out until it’s reduced or removed all together. However, the real surprise was in areas that I don’t normally associate with PLCs. Bass weight and articulation was superb and might be the best I have heard yet in my system, particularly from my REL subs. It’s not so much that bass was deeper but rather it was more visceral with greater pitch definition a more realistic sense of flow. Vocal and instrumental images were denser more robust and tactile. Timbre or tone color was more intense too. Going through my rough notes, “flesh and blood” was an oft repeated phrase. Overall the musical message was clearer, more life-like and more revealing of textures and nuance. 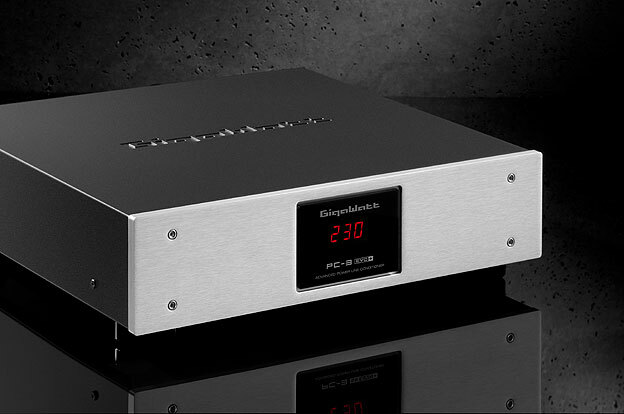 Gigawatt is most probably the best recognizable Polish Hi-Fi equipment manufacturer. The products of the company are exported to 23 countries over the whole world. Innovative solutions backed with experience in power devices, as well as very thought through development of their portfolio, led to GigaWatt being named at the same level as the most renowned manufacturers of power accessories. In the catalog special role was always played by the power strips and conditioners, and the PC-3 EVO will probably be one of the biggest hits of the Lodz based factory. When we plug it into our system we do not need to think about what has changed. The effect is immediate, and the return to another solution – even if only for comparison reasons – painful. 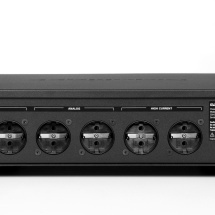 With the LC-2 Mk2 power cable the conditioner brings the sound of the system to another level. We have an impression, as if somebody would change all of our cables for better ones. “When listening into the details, the differences turned out possible to discern. All that I lost on the previous changed returned. On one hand I noticed a bettering of the reverberation aura, vividness and length of decay; on the other I had the impression of improved dynamics. I know, this sounds very serious, this is why I want to clearly underline, that the changes were subtle, not comparable to changing an amplifier. But it is worth remembering, that they appeared after changing from very bad power accessories, which would not have been used by any audiophile, who calls himself with that name.